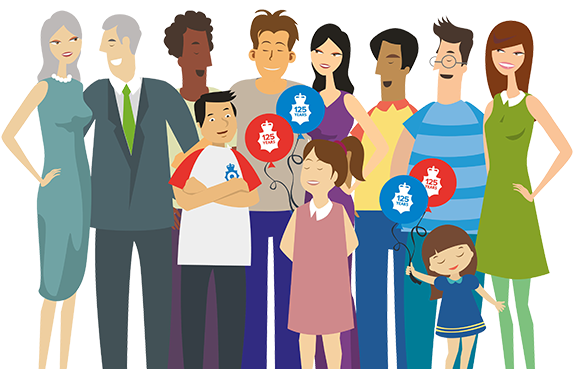 If you’re already a Metfriendly member and think one of your colleagues or a family member could benefit from any of our great police-friendly financial products then get them on board and you’ll both benefit. Read our eligibility checklist to find out who can become a member. Referred a colleague or family member already? The referrer is offered a £20 Amazon.co.uk Gift Card for each friend who joins Metfriendly for the first time.. In order for the referral to qualify for the reward the referred friend must be a new customer to Metfriendly and over the age of 18 and the referred friend must meet the conditions of their reward. Referrers must be existing Metfriendly customers at the time of the referral. Rewards will be cumulative and so if multiple qualifying referrals are made to Metfriendly, multiple rewards will be delivered to the referrer, subject to a limit A Referrer may not earn more than 5 within any 24 hour period or 25 within last 12 months or 1500 GBP of reward value within last 12 months. Rewards will be delivered to the referrer within 30 days of the referred friend’s first payment or premium, provided the referred friend’s plan is not cancelled. Rewards will be valid for 6 months from the date earned by the referrer. Rewards are only valid when applications are made online. Directors and employees of Metfriendly are not eligible to take part in this promotion. Referrals must be admitted as members of Metfriendly and have completed the 28-day cooling off period. Metfriendly reserves the right to refuse the issue of any reward to any Referred Friend or Referrer at any time. Metfriendly reserves the right to vary any and all elements of this offer at any time without notice. The Referred friend is offered a £20 Amazon.co.uk Gift Card when they join Metfriendly.. Rewards will be delivered to the referred friend within 30 days of the referred friend’s first payment or premium, provided their plan is not cancelled within the 28-day cooling off period. In order to qualify for the reward the referred friend must be a new customer to Metfriendly, over the age of 18 and must not have been a past member of Metfriendly within the last 12 months. Referred friend rewards cannot be combined with any other Metfriendly promotion unless otherwise stated.